Was born in 1854, and educated at Eton and the Royal Military Academy, Woolwich, and Balliol College, Oxford. As a son of the first Lord Dunleath, who as Mr. John Mulholland owned and raced the famous schooner Egeria, he has worthily maintained the yachting traditions of the family. Wolfhound, Lugger, 4 tons. Lord Dunleath. 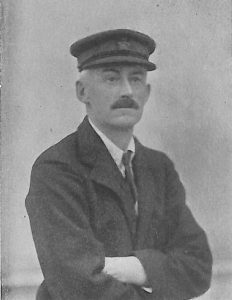 He was elected a member of the Royal Yacht Squadron in 1896, and has won a large number of prizes with his yachts both in England and Ireland. 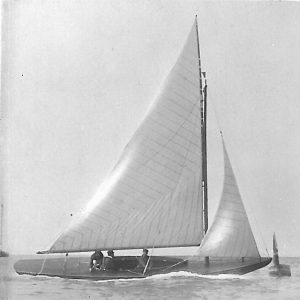 Lord Dunleath is now owner of the Wolfhound, designed and built by Mr. C. E. Nicholson at Gosport. Clubs: Royal Yacht Squadron, Royal St. George, Royal Ulster. Residence: BaIlywalter Park, Ballywalter, co. Down.